I have Hashimoto’s Thyroiditis, an autoimmune disease, and I have to be honest. The whole idea of doing an elimination diet was really overwhelming to me. I was seeing a chiropractor for a thyroid protocol that they had last spring and the good doctor put me on an elimination diet along with a gut healing supplement for a month. It was doable but the thought was really overwhelming at first. I dove in to the whole thing head first like I have done with every other diet change I have made and did fine. I ate a huge salad for lunch everyday and took the time to cook. Three weeks in to the diet the doctor told me I didn’t have to do it any more and all went to the wayside. For some reason it was like permission to reintroduce some things I had not wanted to give up. Nuts were huge. I ate a lot of them because I have been a habitual snacker my whole life. Switching from baked goods to nuts was a good switch but when you have an autoimmune disease it becomes much easier for you to develop additional food sensitivities especially if you over consume something. You guessed it. I developed a sensitivity to nuts- every one of them. My tongue starts to hurt and I get all achy and don’t feel well (much more intense with cashews but it happens with all of them). Fast forward to late summer. A family wedding in a small town. I brought emergency stashes of some Paleo food bars and they had nuts. I knew they had nuts and consumed them anyway. Several of them in a period of a day and a half (from a Friday evening to Saturday night). I woke up that Sunday morning with just an aching in my right hip. Like what I imagine arthritis to feel like. I finally decided it might be a good idea to get it checked out but since my holistic doctor is out of the office for the month of September, I must wait until early October to find out if it is in fact arthritis. It certainly hasn’t gotten any better though, I can tell you that much. A part of me wonders if I did the elimination diet or the autoimmune protocol which are basically the same things if that would help. I should do it. I will do it. Just not today. So you see, I get you. I know how overwhelming it is. I know it is good for me. It is a good thing for you too especially if you have not made any changes to your diet. If you are not the dive in head first type of person I really recommend taking it slow. Do it in what ever way will ensure that you can succeed because in the end, that is what matters because you will see health improvements for sure. I know I would rather have a high quality of life especially as I age and our health care system gets worse. No bandaids here for chronic illness. Just real life solutions and getting to the root cause. I have a sneaking suspicion that my root cause is heavy metal toxicity. A whole other blog post. Where should you start when beginning an elimination diet? You need to start by eliminating some foods from your diet. The list of foods to exclude is small but they just happen to be the foods many of you eat most. Inflammatory foods- gluten, dairy, corn, eggs, soy, peanuts, citrus, nightshades- tomatoes, potatoes (except sweet potatoes), eggplant and peppers. You will need to be on it for 30 days minimum before you even think about reintroducing foods. If you are autoimmune you would never, ever add back gluten. This is ideal. For some this may not be realistic and that is okay. You can go in phases to make the transition less overwhelming. Start by eliminating gluten from your diet, then dairy, then eggs and go slow with it. Starting with gluten first and eliminating it completely for one week, then dairy and then eggs the following week. Also, don’t try to replace your favorite gluten full foods with gluten free. So for the week you start out gluten free, don’t switch your regular bread for gluten free bread. That defeats the purpose and will just add to your being overwhelmed when you have to give that bread up too- remember you will have to eliminate all grains eventually. Find support and try to get your family on board. This will help tremendously. If you are having issues with autoimmunity and you have children there is a good chance they could have some genetic susceptibility to gluten and possibly to autoimmunity too. You really want for it to become a way of life for you and your whole family. What you will find is that even a spouse who doesn’t have an autoimmune disease will feel a lot better when they come on board and support you fully with your new way of life. You will be way more successful with support and encouragement. Find a positive place online to get support as well. You want to find message boards, blogs, facebook pages that offer you support and recipes and things like that. Stay away from the places online that you don’t see support from. There are blogs about autoimmune disease that have a lot of people complaining about the medicine their doctor put them on or something like that. There is a Hashimoto’s facebook page that I have visited and just quit visiting because it was all about people complaining about how they felt. I think if you spend a lot of time thinking or talking about how bad you feel then that is how you will feel. Know what I mean- like a self fulfilling prophecy. Find some recipes and try them out before you even start to make the transition. Clean out your kitchen and pantry of all the things not allowed on the elimination diet. That way you won’t be reminded of all you should not be eating in order to succeed. If you have the option of buying your meat and produce locally or from a farmers market, co op or natural foods store that would be great. 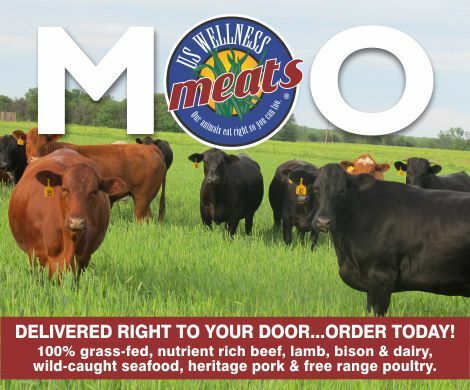 There are great online sources for meat and seafood such as US Wellness Meats, Vital Choice seafood, Massa Natural Meats. If that still feels really overwhelming then just go slower. Just remember the slower you make the transition the slower you will see results. So what can you have for breakfast since eggs are out and so is toast and cereal? You must do your best to think outside the box on this one. You can make a hash of veggies and sweet potatoes and have some bacon with it or some homemade breakfast sausage (just a few spices and some ground pork). You can make coconut milk yogurt and have that with some berries and or a smoothie. You can have bone broth or have soup made with the bone broth for breakfast. Once you get the outside the box thinking on the breakfast foods, the options are endless. I often have leftovers for breakfast and I do a protein smoothie of Pure Paleo Protein powder from Designs For Health which is a beef protein powder. I generally have trouble eating enough food in a day so it works for me to supplement with this. For lunch I will have a big salad with some kind of meat. I roast sweet potatoes ahead of time and shred carrots and beets and use olive oil and lemon juice as a dressing. For dinner I would have pretty simple stuff. Some kind of meat cooked and lots and lots of veggies. If you are not a fan of salads then eating lots of cooked veggies is a great option. You have to make sure to do lots of good fats and proteins. Avocados are a great thing to eat and you can add those to smoothies to make them thicker and creamier. You really have to make sure to do your prep work to make this plan successful. It is not easy but it really is doable. You have to plan if you are going somewhere how you will transport your food if you need to. Travel with your food if you have to. Download my Gut Healing Meal Plans and recipes to get you started and go for it! It is free when you sign up for my newsletter.